MPG 2012 Toronto is complete. Check out a full listing of all of our local meet ups here. Evelyn Hannon was the first Canadian to look at travel strictly from a woman’s point of view. Since 1994 her mandate has been to inspire females worldwide to travel safely and well. 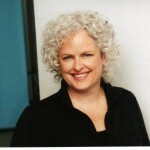 Her award-winning website, Journeywoman.com and her monthly travel tip newsletter connect 64,000 readers and journalists in over 100 countries. Evelyn has appeared on Good Morning America and been featured in Time and People Magazine. She’s circumnavigated the globe, explored 65 countries and this Fall will be reporting on India and then spending New Year’s Eve in Antarctica. 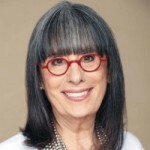 Now 72, Evelyn is considered the “Grandmother of Women’s Travel”. Janice Waugh has enjoyed many forms of travel at different times of life…20-something travel, family travel, and career break travel. Currently, solo travel is her thing and as publisher of Solo Traveler, she aims to inspire others to discover the world as they discover themselves. Janice’s longest trip was not solo. It involved 10 months in Europe with her husband, youngest son (age 10 at the time) and visits by her three other sons at various times. This trip fulfilled a dream shared by Janice and her husband. Four years after their return, her husband passed away from a rare illness. She is grateful for having taken her career break in time and keen to support others in the pursuit of their career break dreams. 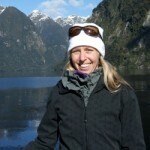 Janice Waugh is author of The Solo Traveler’s Handbook and moderator of the Solo Travel Society on Facebook. She has spoken at The Smithsonian on solo travel and at a number of industry events on travel blogging including the World Travel Market. 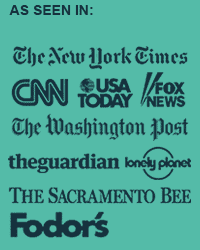 She has been quoted in many media outlets including CNN, the Washington Post, Chicago Tribune, LA Times and USA Today. 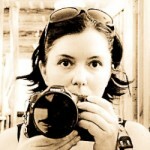 Heather Greenwood Davis is a lawyer turned award-winning travel columnist, freelance feature writer and blogger. Today, her columns and feature articles appear in newspapers, magazines and online publications around the world including The Toronto Star, Lexpert Magazine, Canadian Family Magazine, Dabble Magazine, Metro Newspapers, Urbanmoms.ca, Disney.ca. She has also appeared with and without the family on TV (CityLine, Breakfast Television, etc) and radio. 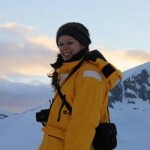 In addition to her public media work, Heather has been a consultant for the Canadian Tourism Commission and works with companies like Four Seasons Hotels & Resorts and Rogers Communications. Most recently, Heather found herself on the other side of the camera. Her life became the subject of much media attention when she and her husband dropped everything, pulled their two sons under the age of 10 out of school and traveled the world for a year. 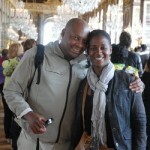 The family visited 29 countries on six continents from June 2011 – June 2012, sharing the journey via social media and traditional media channels. Ish Davis is a municipal government cubicle dweller turned world traveler. Born in St. Vincent and raised in the downtown Toronto housing projects of Regent Park, Ish grew up thinking Toronto was the world. Brief trips out to the U.S. and Caribbean in his youth opened him up to the possibilities of travel and he dreamed of one day seeing more of the world. Over the years he’s visited Thailand, Japan, Indonesia, Hong Kong and more, but last year he went further still. Along with his wife Heather and sons, Ethan (8) and Cameron (6), he visited 29 countries on six continents and made his dreams come true. Particularly thrilling to him, the classroom of kids from Ottawa who found him an inspiration and wrote to him throughout the trip. When he’s not reminiscing about the trip he just took, he’s planning the one that’s coming up next. His hope is to repeat the year away in about 6 years. From exploring Europe to climbing to the top of Mt. Kilimanjaro to plunging into the frigid waters of Antarctica, Katy has enjoyed some incredible adventures that have only fueled her love for travel. She is always read to take on a challenge and learn just a little bit more of what this incredible world has to offer. 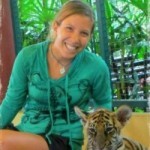 Katy works in marketing and public relations with Intrepid Travel. She has been with Intrepid since it opened its doors in Canada in 2008 and worked as part of her team using her experience in consumer marketing to build awareness and share her passion for experiential travel. In her mid-thirties, Ayngelina left a great job, boyfriend, apartment and friends to find inspiration in Latin America. After spending 18 months abroad she redesigned her career to balance a travel-centric lifestyle. From an early age, Paula Czarnik had a passion to escape the “norm” and travel to Australia. After college she and her partner bought one-way tickets to Australia, and with working holiday visas in hand, set a date to depart! They spent 2 years living in the South Pacific and Asia before returning home to start planning when they would go again. Paula now works in travel consulting and helps others realize their travel dreams. Since their career break, she and her partner have gone on to explore new countries and keep the dream alive that they will soon be setting off on yet another big adventure in this world! Lindsay has traveled through 24 countries throughout the Americas, Europe, Asia, and Africa. She is TEFL certified to teach internationally and is also certified to teach domestically, with an MA in education. 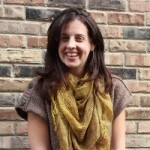 Lindsay lives in Chicago and enjoys Lake Michigan and the fantastic festivals that Chicago has to offer all year long.